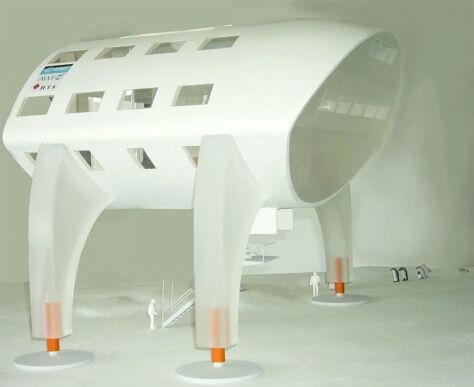 The SpaceHouse proposal for the Neumayer III Antarctic station has a futuristic linear shape. Shown here is a model of one-third of the final structure, which would use 12 legs for support. The small figures at the base of the structure are scale models of humans.